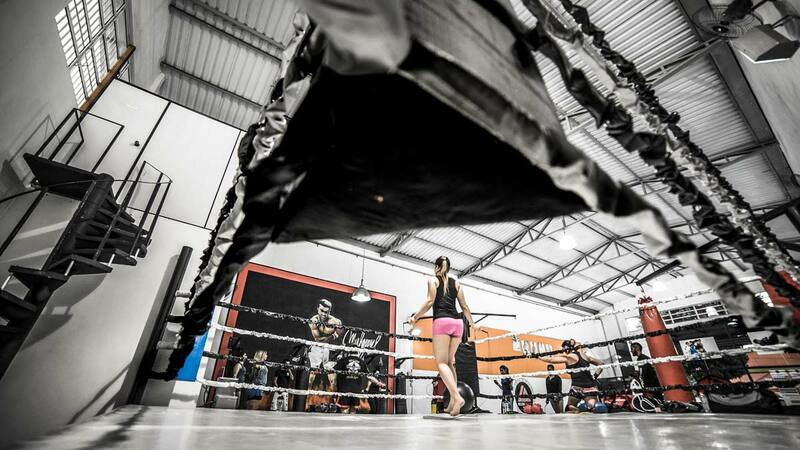 When you enter any kickboxing gym, club or school, you will always find the classic kickboxing bag. However, there are already so many kickboxing bags available today, featuring different forms, sizes and styles. Each of these has relative advantages and uses to improve the style, technique and power of trainees. The kickboxing bag is a very functional tool that will help you improve whether you’re training for the sport for recreational or competitive purposes. You can choose to avail of the different kinds in the club or gym or get one or more setups for home training. Here is a brief overview. Before, people may only be familiar with the classic heavy punching bag. This is generally characterized by a cylindrical bag filled with water, sand or dirt with high-impact foam going all around, allowing the proper absorption of impact from kicks, punches and other attacks. The outer portion of the bag features leather since it is a tough and durable matter that will not rip even after being kicked, beaten and punched. The bag can either be standing or hanging, depending on the available space and type. The speed bag is another common type of kickboxing bag, which will help fighters improve their accuracy, speed and combinations. In recent years, more bags have been introduced which focus on different types of strikes. There are uppercut bags, strike bags, sparring bags, torso bags and many more. Each of these will have particular advantages. The heavy punching or kickboxing bag is a staple in all schools and training centers. The bag can weigh anywhere between 100 and 300 pounds. Students will be assigned to a specific bag based on their size, current skill level and weight. These bags are intended to improve the power of punches, kicks and strikes. Because of the relatively heavy weight and stable position, it can absorb the most powerful punches and kicks. The heavy bag can be standing, which means that its support is found at the base or below, or it can be hanging, which means that it is suspended from an overhead bar or ceiling via a chain or strong cable. Kickboxers will increase their power and strength by spending 30 to 60 minutes on these bags every day. Aside from force, kickboxers will also learn how to time their strikes properly by observing the swaying motion of the heavy bag. As the name implies, the speed kickboxing bag will improve the speed and accuracy of fighters. It is very important in the sport especially among intermediate and advanced fighters who are harnessing a number of combinations and techniques. The speed bag is characterized by its tear-drop shape. It is also covered in leather and only weighs around 1.5 to 2 pounds. The speed bag may be suspended at its uppermost tip by a hook or ring or held in between a couple of high-tension cables. The traditional speed bag is held up at about eye level wherein fighters will begin developing their rhythm by punching the bag in a sequential fashion using their fists. Be sure to use your knuckles when punching and not the base of your closed fists. The speed bag will bounce in a rhythmic pattern, thereby improving the hand-eye coordination, accuracy and conditioning of kickboxers. A number of gyms and schools recently introduced the strike bag which is a unique and complete kickboxing bag that will improve power, agility, accuracy and endurance among kickboxers. It is characterized by a freestanding columnar bag, similar to a heavy punching bag, except for the solid pole that extends from the bottom of the bag down towards the solid circular base. The base is made of plastic and can be filled with either sand or water to keep the setup from tipping over when struck powerfully. Another unique trait of the bag is the spring neck which provides fast rebound. The columnar leather bag will move in a circular fashion or sway in accordance with its spring neck and the extension underneath. The bag stands at around 6 feet and the bag can be adjusted depending on the height of the fighter. There are different brands offering these bags. The setup costs around $200 to $250. The torso kickboxing bag is unique because the shape of the bag takes the form of an actual human being, without the arms. Trainees can improve their combinations and use punches, kicks, knee strikes and elbow strikes while practicing. The torso bag has similar construction as the strike bag although the torso weighs less. This setup is recommended to improve the style, accuracy and endurance of fighters. The torso bag is also a great way to practice kicks and knee strikes. Because of its unique frame, fighters can practice how to properly hit vital areas that will give them the most points during matches and competitions. The torso will also sway upon receiving hits. Torso bags also cost around $200 to $250. If you’re planning to buy a kickboxing bag, be sure to check the manufacturer, brand and source carefully. There are several setups available in sporting goods stores and kickboxing institutions. However, you need to pick the right one depending on your actual skill level and needs. The heavy bag and speed bag are staples so even today, coaches and instructors still recommend students to invest in these first before getting the fancier ones. If you’re planning to improve on combinations and technique, you can try the strike or torso bag. The heavy bag will cost around $120 or less, while the speed bag is only around $50. Compare the products especially when ordering online. Ask about shipping rates and other fees then determine how long it will take for products to arrive. Also determine the packaging and ask for a warranty from manufacturers. You may even wish to purchase directly from the company to avail of the lowest prices and the best quality kickboxing bag.